Arezzo, Italy is located in a fertile floodplain on the Arno River, which is among the most important rivers in central Italy. Arezzo has a temperate Mediterranean climate, and for those of you taking notes for trivia nights at your local bar, the University of Oklahoma actually has a branch in Arezzo. According to my notes, this Origin gin is the closest the state of Oklahoma has come to having a gin thus far. Many distillers actively seek out Italian juniper in their gins. It’s reported to be among the best quality in the world, and among the most predictable in terms of flavor from growing season to growing season. 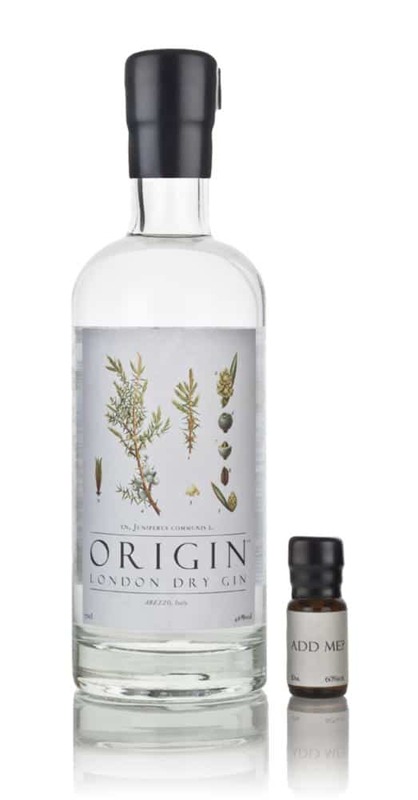 This is what I expected all of the origin juniper-only gins to taste like. Bright, piney, sharp but light. The gin has an almost watery character. Quickly dissipating leaving a long bright juniper after taste in the back of the throat. Significant heat and alcohol lingering, but the juniper sticks around a long time after the initial sip. Bright fresh, but lacking. On its own, its a good example of what the juniper tastes like, but as a gin I find it somewhat lacking. Again, What a difference provenance makes. So different from the previous ones, Arezzo Italy juniper tastes most similar to my “expectation” of what a juniper only gin could taste like. Sure, the juniper alone one could use some balancing, but I think the “with botanicals” mix rights the wrong and makes a pretty solid gin. Certainly not for everyone, again it is interesting how a similar botanical mix can call to mind flavors of ingredients that aren’t even on the official botanical list. And that my friends, is the beauty of juniper.